Simply, Algebra is all about finding the unknown variables and putting real-life variables into an equation and finding their solutions. Unfortunately, most of the mathematics books jump directly to formula, equation or algebraic expression before giving a warm introduction to Algebra. Why Algebra Formula Needs etc.? Let us discuss on each of concept one by one for a better understanding of the Algebra. Algebra is a mathematical segment that replaces letters for the number. An algebraic equation is working as a scale where both sides represent the same things and numbers are taken as the constants. Algebra may include multiple mathematical terms like the real number, complex numbers, vectors, matrix, and many other forms. Further, algebra is broken down into parts – one is elementary algebra and other is abstract algebra. The first one is suitable for medical, science, engineering, mathematics, or economics etc. At the same time, the second type is suitable for advanced mathematics only. A basic equation in Algebra is an expression that contains at least one variable that we need to calculate to find something unknown to you. Example – (x – 38 = 12). This is an algebraic equation where we need to calculate the unknown variable x.
Algebra is used everywhere and it can be used for solving daily problems too when it comes to knowing about the unknown variable. Let us see how it works actually. Take an example where you are trying to calculate the balls you started the day with if you sold 38 but still 12 is remaining. Here, the algebraic equation would be x-38 = 12. We are trying to calculate unknown variable x that will tell you with how many balls you started your day. The solution to the problem is (x=50), it means you started your day with 50 balls. Question 2: 43 ×× 42 = ? 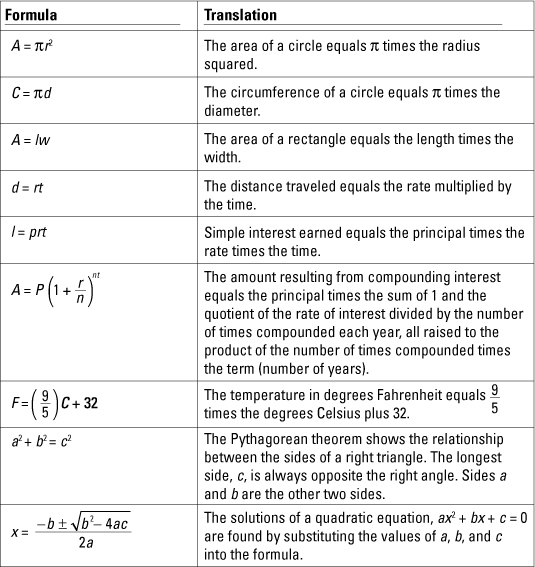 Wondered how Algebra formulas are needed even outside your high school? In reality, they are used everywhere either it is related to bill payments, calculation of healthcare costs, your future investment, planning for a house on EMIs or budget management for your project etc. A deep understanding of Algebra formulas or equations can develop critical thinking, makes your logics stronger, and enhances your problem-solving skills especially when you enter the workspace. Ultimately, the person having a good understanding of Algebra had a greater opportunity of getting success in science, mathematics, engineering, economics, complex mathematics fields or any other tech-related fields etc. We wish you a successful future ahead with the right skills and knowledge of various Algebraic equations or formulas. You should remember all the algebra Formula which helps you to solve algebra equation and easy to understand. You should also check the more Maths formulas which are the help to learn more. if you have any questions regarding algebra related and algebra equation, you should share your problem here for the solution.